Cable JB 2.5mm2, 5 pole, 7 x M20 entries, 80 x 80 x 52mm. Junction Box IP65 With 5 Pole Term Block is rated 4.5 out of 5 by 8. Rated 5 out of 5 by RichA from What's to get excited about? A junction box. junctioned. Rated 1 out of 5 by Jazzist from Too small This box is too small to use all of the M20 holes with glands in each hole as the glands will foul each other internally. I only found this out after I'd broken out all of the holes ready for glands, so the box is no use for anything now. At just 5 mm bigger a 85 x 85 mm Wiska box I found in my garage was far better - ready tapped holes so no need for nuts (the holes self break through as you screw glands in - great! 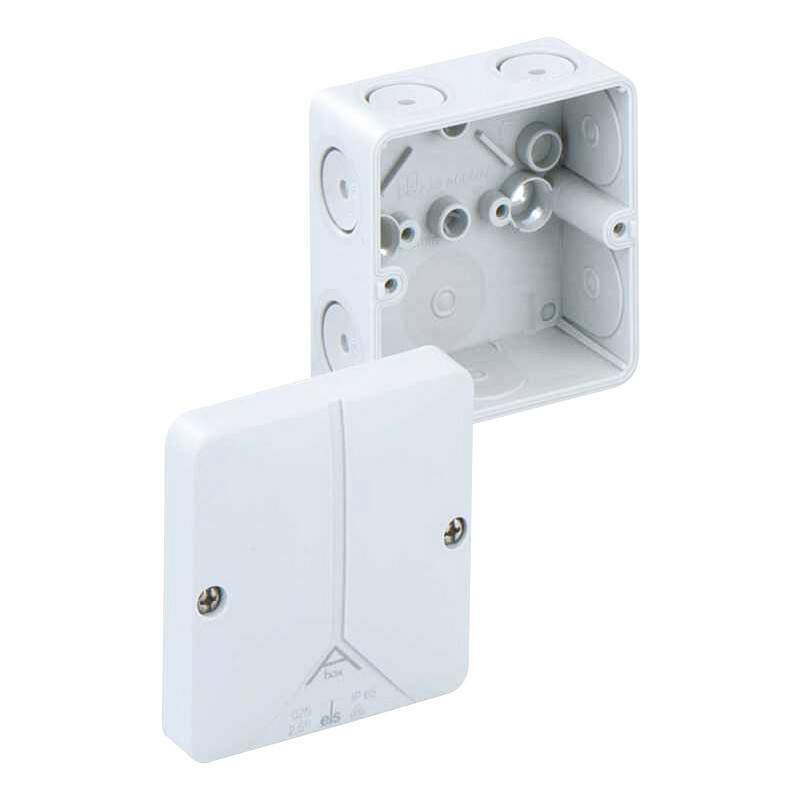 ), able to use all M20 holes, really great snap fit wall mounting bracket (or hidden screws through the box if you prefer), quarter turn screws to secure cover, domed cover for loads of room inside- the whole box is really really clever compared to this! Rated 5 out of 5 by Do it Yourshelf from Does The Job Compact adaptable box with terminal block. Plenty of knockout options 20mm glands. Rated 5 out of 5 by Samsaranda from Excellent product Excellent product, excellent price. Rated 5 out of 5 by Cagiva_kid from Junction box It's well made and easily fitted. Much better than a cheaper version I bought from a competitor.